The great strides being made on the global climate change scene will ripple into action throughout the Pacific islands with the Pacific Climate Change Centre (P.C.C.C.). Nearing establishment at Vailima, this will be the shared regional climate hub for inclusive collaboration to meet the priority adaptation and mitigation priorities of Pacific island countries and territories. 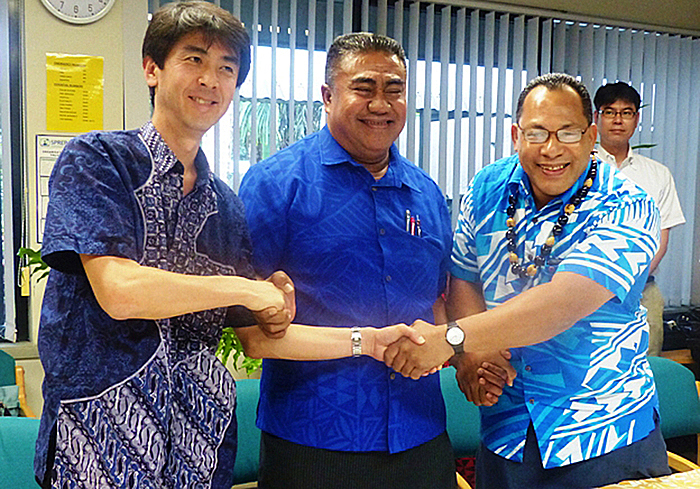 Funded by the government of Japan in partnership with the government of Samoa and the Secretariat of the Pacific Regional Environment Programme (S.P.R.E.P), the P.C.C.C will be hosted in Apia. It will be ready for action as of 2018. With the Paris Agreement entering into force on 4 November, and an amendment to the Montreal Protocol to reduce emissions of hydrofluorocarbons (H.F.Cs) to prevent up to 0.5 C of global warming by 2100, the international community, supported by strong Pacific leadership, is making significant progress in managing the challenges of climate change. 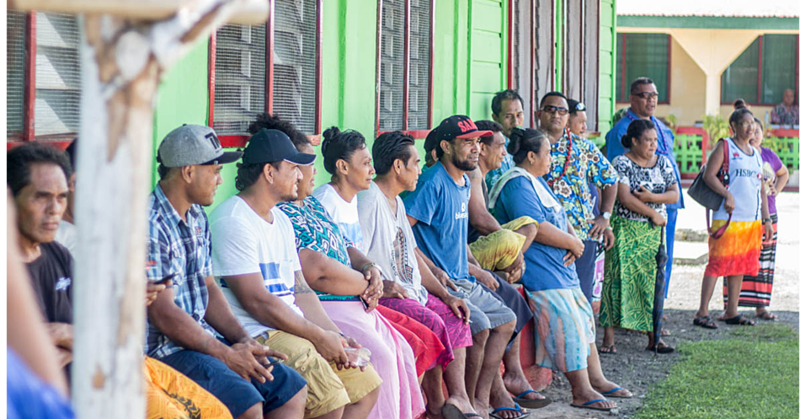 The P.C.C.C is set to be a hive of action for Pacific islands work programmes. “Our S.P.R.E.P Meeting in September this year, endorsed the proposal that we convene a small steering committee of members and fellow regional intergovernmental organisations to drive the regional consultation on the regional vision, operating model and governance arrangements for the P.C.C.C,” said Leota Kosi Latu, the Director General of S.P.R.E.P. The P.C.C.C will also serve as a platform for fostering and enhancing genuine partnerships and collaboration for addressing the challenges of climate change resilience for the Pacific region. On 5 October this year, 55 Parties to the Convention accounting in total for at least an estimated 55% of the total global greenhouse gas emissions have deposited their instruments of ratification, acceptance, approval or accession with the Depository. This means the Paris Agreement will enter into force on 4 November this year with the first Meeting of the Parties to the Paris Agreement taking place in parallel with the 22ndConference of the Parties to the UN Climate Convention in Marrakech. More recently the Kigali Amendment to the Montreal Protocol, labelled as the second big climate deal will see the phasing out of hydrofluorocarbons (H.F.C’s), which will reduce global warming by 0.5C by the year 2100. Both landmark agreements were strongly supported by the Pacific islands, who played a pivotal role in negotiating these to come about. “We congratulate and commend all who have come together in unity to bring about these historical global agreements. 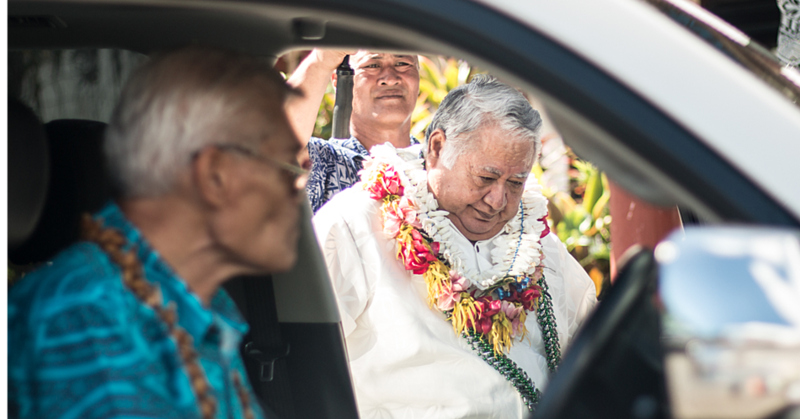 The spirit of partnership is truly alive and for our Pacific islands that are feeling firsthand the brunt of the effects of climate change, these strides will greatly contribute to their survival,” said Leota. Construction for the Pacific Climate Change Centre will begin in June 2017 and is planned to be completed by July 2018. The S.P.R.E.P Member countries that have signed and deposited their instruments of ratification to the Paris Agreement are Samoa, Cook Islands, Federated States of Micronesia, Fiji, France, Kiribati, Marshall Islands, Nauru, New Zealand, Palau, Papua New Guinea, Solomon Islands, Tonga, Tuvalu, United States of America, and Vanuatu.